TEEC provides high resolution interval velocity model building including anisotropy. Our workflows allow for a fast and efficient tomographic model update in order to cut the turn-around time for depth imaging projects. Updating can be done either with Kirchhoff migrated offset gathers or RTM surface offset gathers. 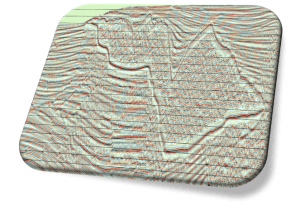 Our 2D/3D Kirchhoff Prestack Depth Migration takes anisotropy into account and can accurately run from topography. Kirchhoff depth imaging is based on the ray theory and is a fast and effiecient way of creating a subsurface image for moderately complex velocity models. Once ray theory breaks down such as for complex velocity models TEEC recommends a wave equation based depth migration, e.g. by RTM, for an optimum depth image. Our RTM depth migration includes anisotropy and accurately runs from topography. 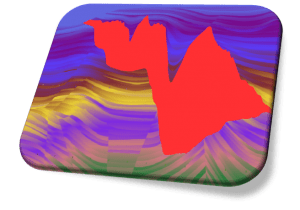 It is the ideal imaging tool for complex velocity models such as subsalt or sub basalt imaging. We are able to output angle and surface offset gathers that can then be used for velocity model update. Diffractions may give additional hints on the presence of faults and lineaments. 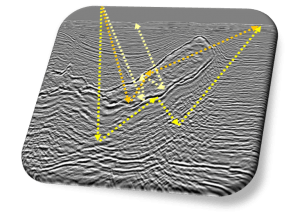 Our diffraction processig not only provides a fault density volume but is at the same time able to enhance diffractions in seismic data. That way a better migrated image can be obtained. Full Wavefield Migration considers not only primary reflections. 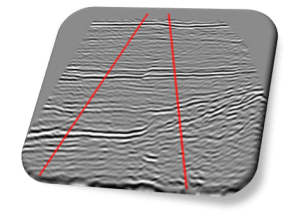 In addition, multiple reflections (free surface and internal) are kept in the seismic data and used for improving the subsurface seismic image. FWM can be a very powerful tool in the presence of strong multiple content, subsalt or sub basalt imaging. Mirror migration can be used in OBS processing to cover a much larger extent of the subsurface than the primary reflection cone would do. The sea surface is used as mirror and the wavefield reflected at the sea surface adds additional subsurface illumination.